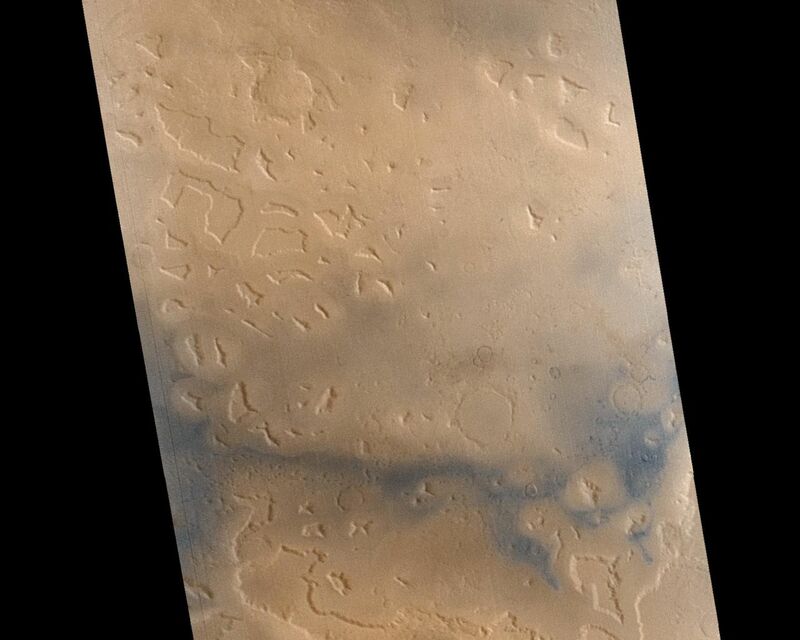 Martian "fretted terrain" occurs in regions of buttes and mesas that stand at the erosional margin where northern low-lying plains meet the higher-standing cratered uplands. Found mostly in the mid-northern latitudes, some of the best examples of fretted terrain occur in Deuteronilus Mensae. Here, the interaction of the process that creates the mesas and buttes, the processes that modify these surfaces after they form, and the relationship of both of these processes with the "near-instantaneous" event that formed the large crater Lyot, provide us places to look to decipher this small but important piece of martian geological history. 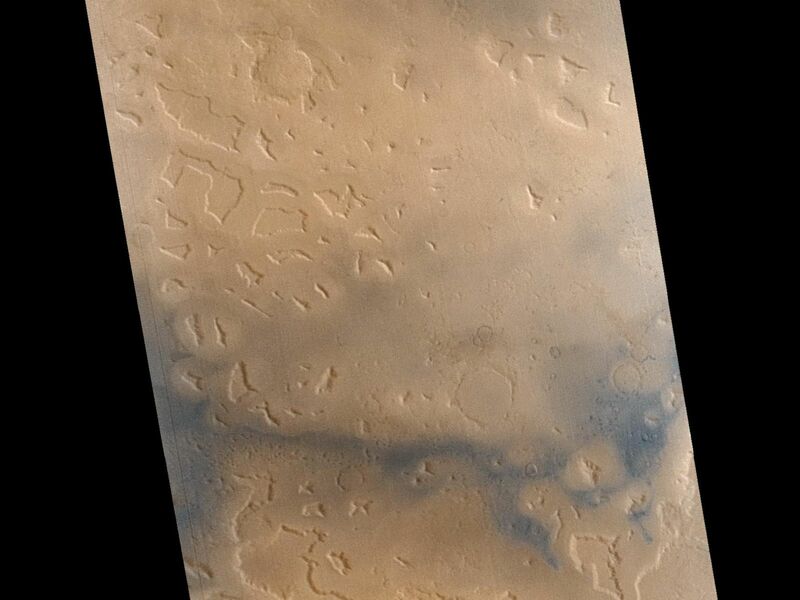 Part of that effort requires us to acquire compositional information--from the Mars Global Surveyor Thermal Emission Spectrometer (TES), from the Thermal Infrared Mapping Spectrometer (THEMIS) and Gamma Ray Spectrometer (GRS) on the 2001 Mars Odyssey mission, and from color images such as these taken by Mars Global Surveyor's Mars Orbiter Camera. Subtle and not-so-subtle color variations seen in this composite of MOC images M23-01279 and M23-01280 (acquired January 19, 2001) trace both the movement of dark sand of possible volcanic origin and fresh, dark outcrops of unweathered bedrock.